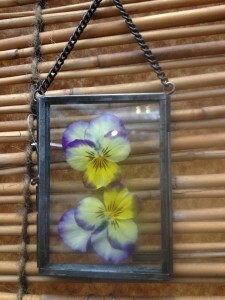 Botanicals Under Glass – We Have Everything You Need! 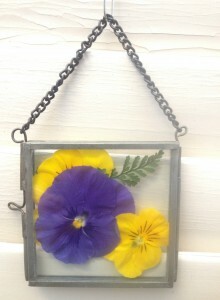 Aren’t these little glass frames great? You can either purchase them empty and put whatever strikes your fancy in them or we have others already done, like those shown here. This would also be a simple and fun project to do with a youngster – wouldn’t they love being able to pick just the perfect bloom for their frame! 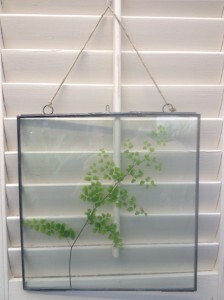 This entry was posted in Project, Uncategorized and tagged botanical, ferns, glass frame, viola on February 12, 2013 by Kris Blevons.